An apple a day keeps the doctor away, right? Unless that apple may eventually lead to more doctor visits. 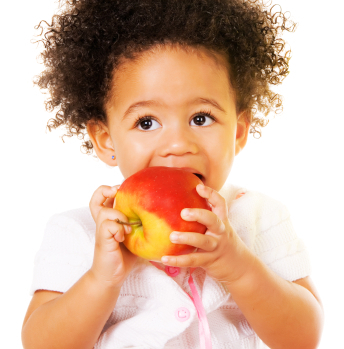 Since apples already make the “Dirty Dozen” list for pesticide use, buying organic apples is important. But, now healthier eating just got a little trickier. Arctic Granny Apples conjure a pure and delicious image. And while these apples may be tasty, they might also be dangerous. We all know that a sliced apple will eventually turn brown when exposed to air. Apparently, adding a little lemon juice, sealing them in an air-tight container for lunch boxes, or just eating them the way nature intended seems like too much work. So, scientists have found a way to end this browning nuisance…voila…the Artic Granny Apple. 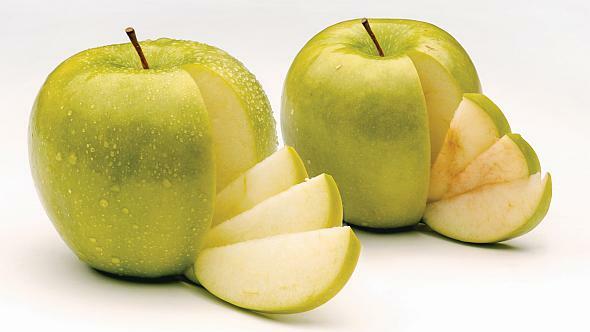 A Genetically Modified (GMO) apple. There is currently huge controversy regarding GMO foods. Much of the debate focuses on mandating labeling. As of now, companies are not required (in the United States) to disclose GMO ingredients on their packaging. So, while you think you’re making a healthy choice for yourself and your family, there really is no certainty. Until the effects manifest in a decade or so. If you’re trying to avoid GMO foods, you’re going to have to trust your instinct when it comes to apples. If it’s marketed as “non-browning,” odds are good that it’s “non-natural” too. This entry was posted in Uncategorized and tagged arctic apple, arctic granny apple, are apples gmo free, GMO apples, healthy lunch, healthy lunch box, healthy snack, non-browning apples, non-browning gmo apples, what is a gmo. Bookmark the permalink. Enter your email address to follow this blog and receive notifications of new posts by email. Don't worry, we won't sell or spam your email!